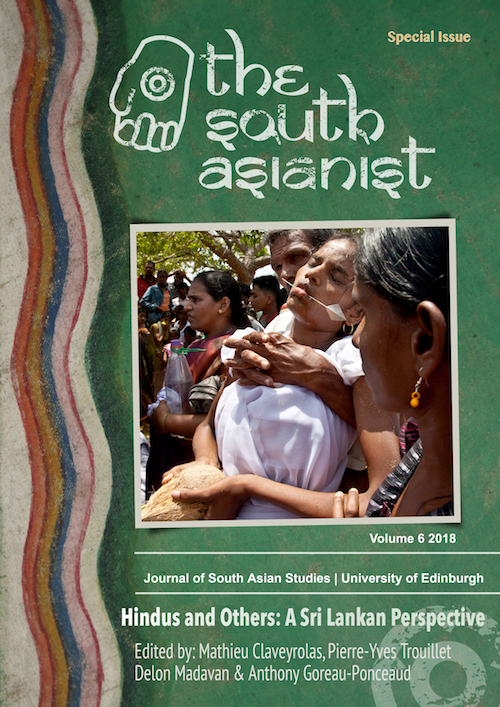 Following a workshop held in Paris in 2015, the purpose of this special issue is to start from the Sri Lankan case to study how Hinduism and Hindus define others and interact with them, and what these interactions reveal about Hinduism in general and about Sri Lankan Hinduism in particular, especially regarding religious, social, political and territorial issues. By addressing such relations to the Other from the Hindu point of view, the volume proposes more broadly to develop a critical conception of Hinduism, which considers this religion as a point of contact between various social and religious groups. Indeed, we argue that questioning the importance of these multiple realities of contact, whether they are recognized or denied, also helps renewing the debate about the delicate definition of Hinduism, articulated by both Hindus and scholars.